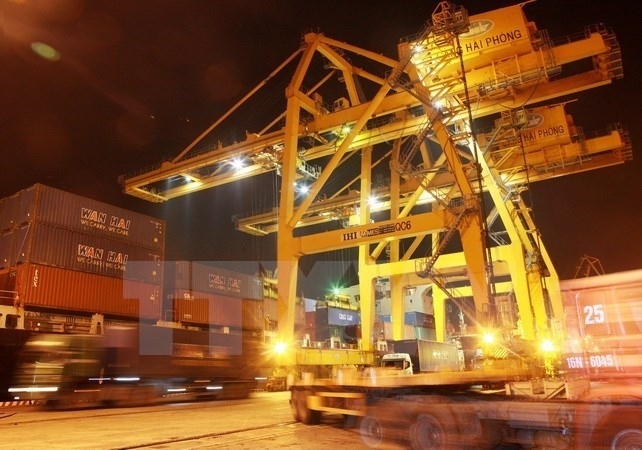 The Vietnam National Shipping Lines (Vinalines) has asked the Ministry of Transport to allow it to work with Rent A Port of the Belgian Ackermans & Van Haaren Group to invest in developing ports in Lach Huyen – Hai Phong international port. The two sides hope to develop a grain specialised port, capable of receiving 100,000 DWT ships, and construct a 250 hectare logistics centre opposite the grain port to facilitate the handling, storage and distribution of grain for the northern region. Rent A Port plans to buy 10 percent of Vinalines’ charter capital when the company launches an initial public offering (IPO) this month. The Belgian company has already hired a consultant company to evaluate the financial situation and equtisation progress of Vinalines and set up a group of international maritime experts to examine the infrastructure and logistics system of Vietnam’s leading marine firm. Rent A Port was established in 1885 specialising in port management. In Vietnam, it has injected more than 200 million USD into the Deep-C industrial complex, and pledged to add more 250 million USD to port and industrial park projects in Hai Phong and Quang Ninh province. Under the IPO plan, Vinalines is allowed to hold a maximum of 65 percent of registered capital at key ports, including Hai Phong, Sai Gon and Da Nang. Vinalines currently manages a fleet of off-shore vessels with total capacity of nearly two million tonnes, occupying some 25 percent of the national fleet’s capacity. From now to 2020, Vinalines will focus on developing and exploiting sea ports, which play important roles in the northern, central and southern areas of the country and are the lifeline of the national transportation network.